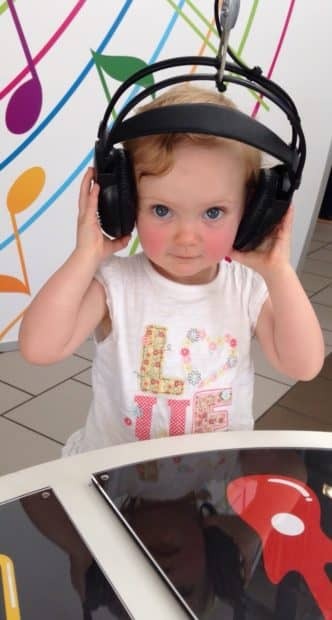 Local toddlers will have the chance to become little musicians during brand new activities in Dundee this week. As part of its Early Explorers programme, Dundee Science Centre is inviting children aged three to five years old to take part in a number of fun, hands-on activities and games linked to music on Thursday 1 and Friday 2 November 2018. The ‘Little Musicians’ activities will complement the highly interactive ‘Music Mayhem exhibition’ which will continue to welcome visitors until Sunday 4 November 2018. Early Explorer events are open to both organised groups and the general public, with two sessions per day – from 9.30-11am and 1-2.30pm. Cost per child is £4.50, with one adult free of charge. The price includes a healthy snack and time to explore the exhibition floor after the session. Siblings under the age of three can enjoy a snack for £2.50. All children must be accompanied by an adult at all times. PRE-BOOKING IS ESSENTIAL. For more information and to secure a place, please visit www.dundeesciencecentre.org.uk. Nursery / other groups wishing to book a slot should contact learning@dundeesciencecentre.org.uk, or telephone (01382) 228800.